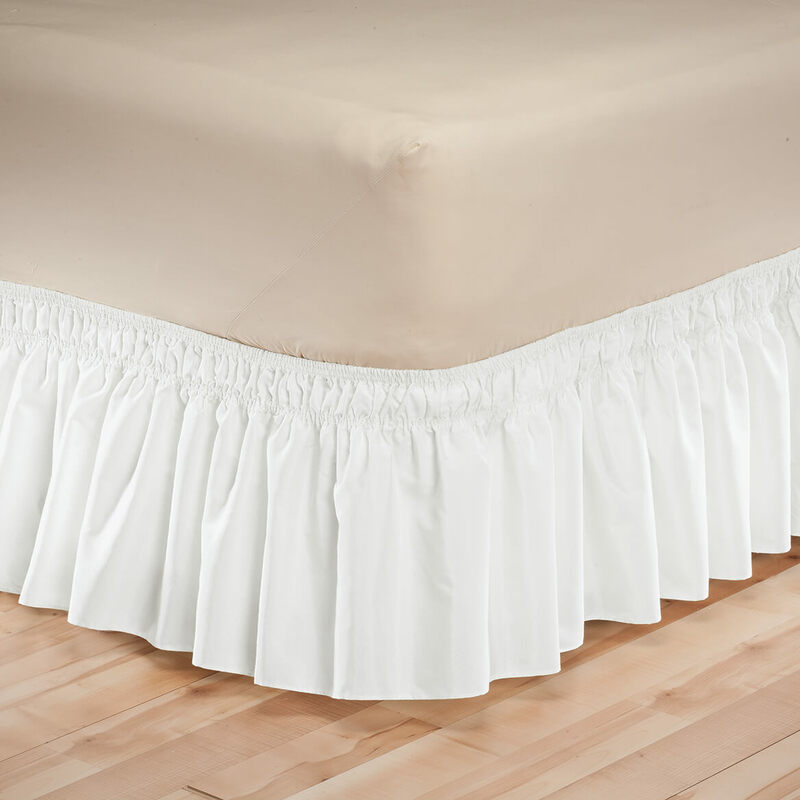 This is a well constructed bed skirt. It was easy to install and stays in place. Fabric is a good weight of material. THIS BED SKIRT WAS VERY EASY TO PUT ON. YOU CAN ADJUST THE LENGTH TO YOUR OWN TASTE. NICE VARIETY OF COLORS. This product comes in a variety of colors & serves it's purpose of adding a nice look to the bottom of the bed. The price is right, good color selection and easy to put in bed. This bed skirt fit perfectly. Real snug and the color was exactly as the picture showed. Was impressed with the quality of the fabric too. This wrap around bed skit is the best thing that happened to bedroom decorating. No more moving the mattress.It is so simple to put on yet looks as good as the bed skits that required moving your mattress. The colors are good and easty to wash. This is a great look. It stays in place, and really dresses up the bed. This product works very well with our bed. I like that you don't have to put this under the mattress. 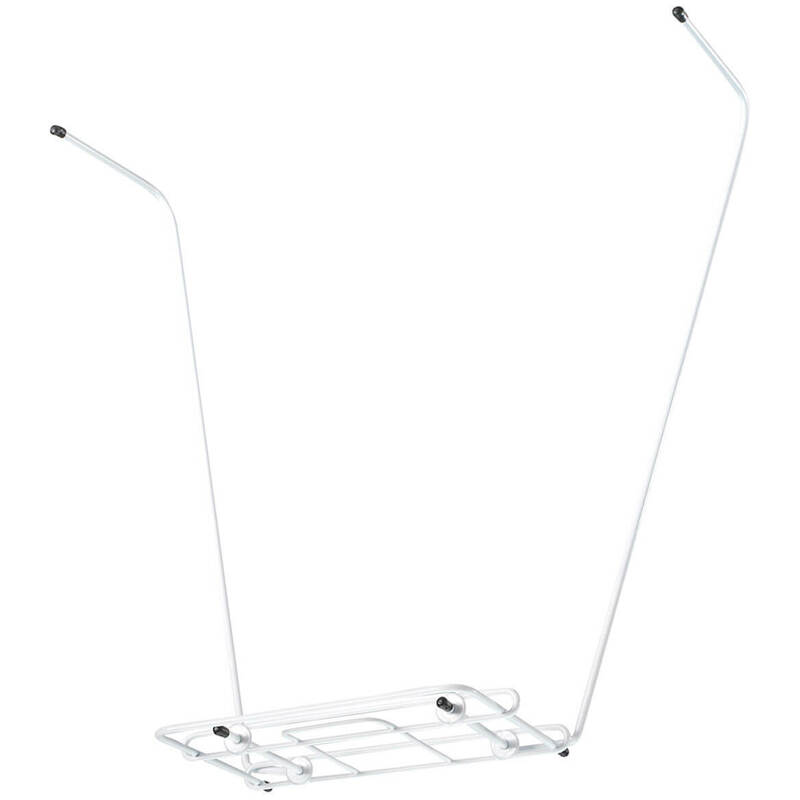 It has elastic on it and fits very nicely around the box spring. I'm glad it comes in twin size. This bed skirt came right on time. It fits perfectly! Looks great too! Now my sister wants to get one too! It has perfect gathering and I love the fact it is a wrap around instead of having to lift a mattress. It fits the queen size so nicely that I am going to order one for my king size bed too! This bed skirt was so easy to put on and looks great. It really look good on the bed. The color fits our decor. This skirt was very easy to put on, and it stays put. I no longer have any mattress showing, which was the point of getting this one. The elastic keeps it snug, and it doesn't move. It's 3-sided, with a wide elastic band on the 4th side, just what I wanted. I can size the 3 sides exactly to my mattress. Looks great! 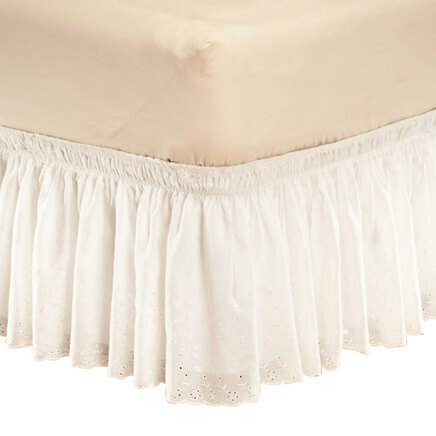 I love this bed skirt! 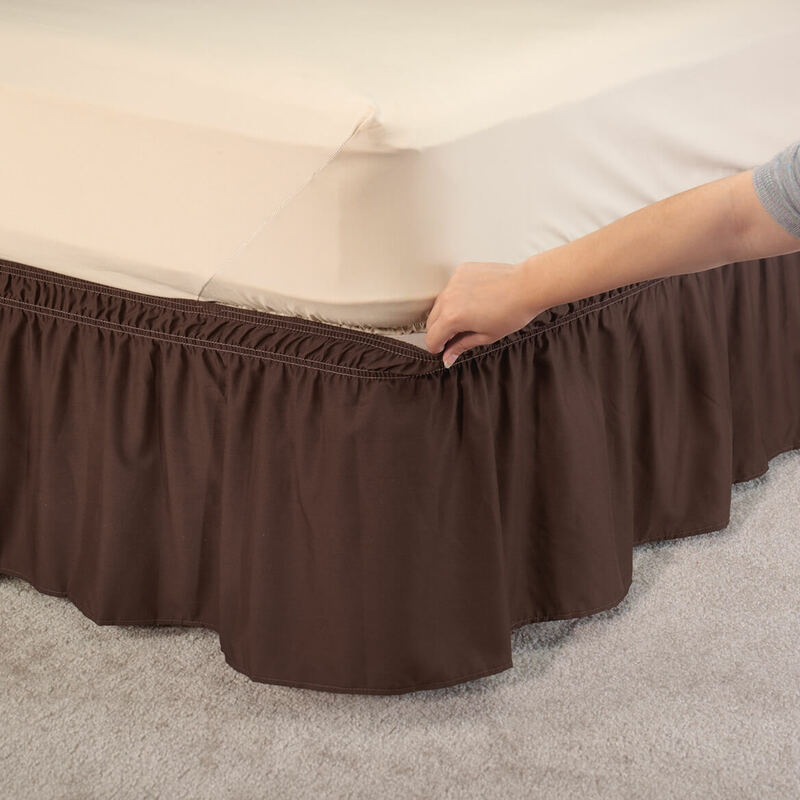 The elastic makes it so much easier to install than the typical bed skirt that has to be inserted between the box spring and the mattress. It doesn't shift out of place like the typical bed skirt does when the mattress moves slightly. It is well made and hangs nicely. I have a bad back and cannot lift the mattress, this bed skirt goes on really easy and no lifting required. I have one on my other bed that I have had a long time, will be replacing it later. The price was also very good and affordable. looks very nice on bed. I am very happy with this bed skirt. It fights my queen size bed very well and the color was just what I wanted. Made the bedroom more attractive; more "at home". Really did like how the bedskirt added to the décor of the room; the décor of the bed. I was not happy with a bed ruffle ordered from another company and had to return it. This one was a perfect fit. I love this product. It works great!
. I use bed skirts frequently coordinating the colors with different comforters. They really dress up the room and allow me to store things under the bed without them looking messy. These are some of the best bed skirts I've found. The all around elastic make it simple to put on and they stay in place well. Ilike the color selection and the price is great. it is so much easier to use than the one that came with our bedding set! and the color is better! we really like it. I bought this wrap around dust ruffle in burgundy to match my new comforter. So very easy to put on (even though I had to leave my old ruffle tucked in underneath). They match perfectly and look beautiful! Easy to fit, not easy to find other than Miles Kimball. Looks very pretty and hides the "underbed storage area" Very wrinkled when it arrived, but I just sprayed it with plain water and put it in the dryer for about 10 minutes and the wrinkles were gone. I plan to get another colours. I use around my bed, matches sheet set and curtains, great blend. So easy to put on, flexible. I am going to buy this again! Thing that are great about it. Fit right on single mattress. I have a twin extra long bed and the skirt fit perfectly. I used twist pins to hold it in place. My bed sits high from the floor. Makes the bed look less bare. And hides storage boxes under the bed. Very satisfied with the bed skirt. I use it around my bed. Put on twin bed, hate to see bare mattress under quilt. Easy to install. The product has elastic all you do is stretch it around the bottom of your bed. I bought two, one twin bed and one queen bed. They are used to cover the box springs on beds when using a quilt or comforter on top. Works great on our mechanical temperpedic bed frames. 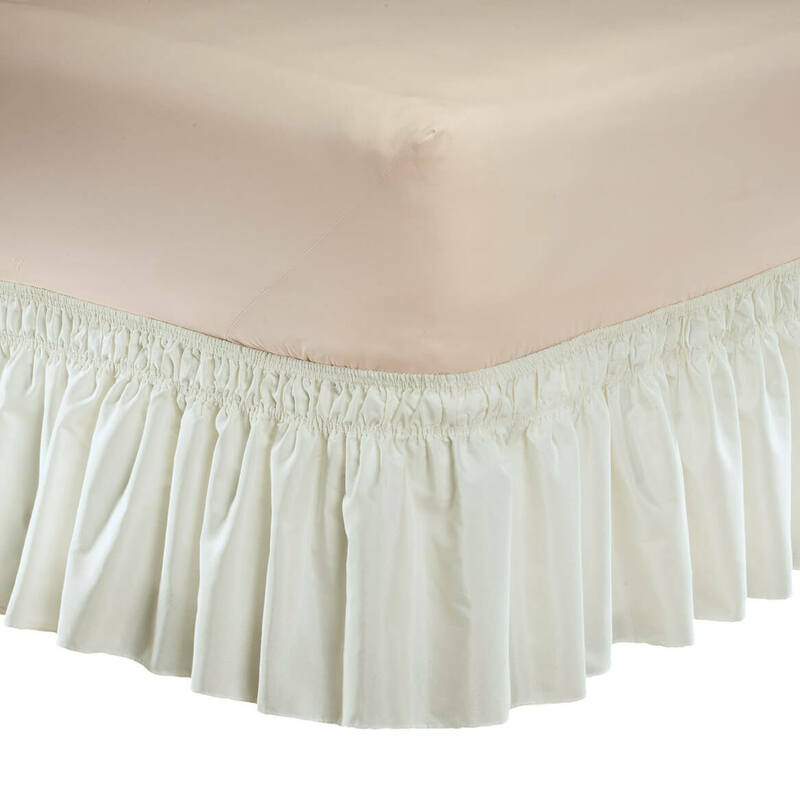 Loved the quality of this bed skirt, but it's almost too small for a king sized bed..it is stretched to the max to fit...I'm sure it would fit a queen sized bed much better. I would recommend, but beware, size too small. Go for a larger size. I've bought another ruffle from another company & didn't have a problem with the ruffle not staying in place. I bought this to cover under bed storage in the guest room. It does the job, but is more like a sheet material than a normal heavier dust ruffle. It clashes a bit with the cream comforter, mainly due to quality of materials. It goes on easily, but I wouldn't think it would fit a king. I used it tightly, on a queen. Bottom line, is it was very reasonably priced, and does the job for which it was intended. I ordered the king before and it was just right. The twin bedskirts are a little large for the beds, but they suit my purpose. Love the concept but should be a difference between the queen and king sizes. The queen/king size just isn't long enough to go around the king bed and look normal. It's just too tight with no flow or give to the fabric. quality is ok, difficult to get on a full size bed even though it's for twin/full. Color and size at the right price. My wife ordered - hoping it will fit on a King size bed. 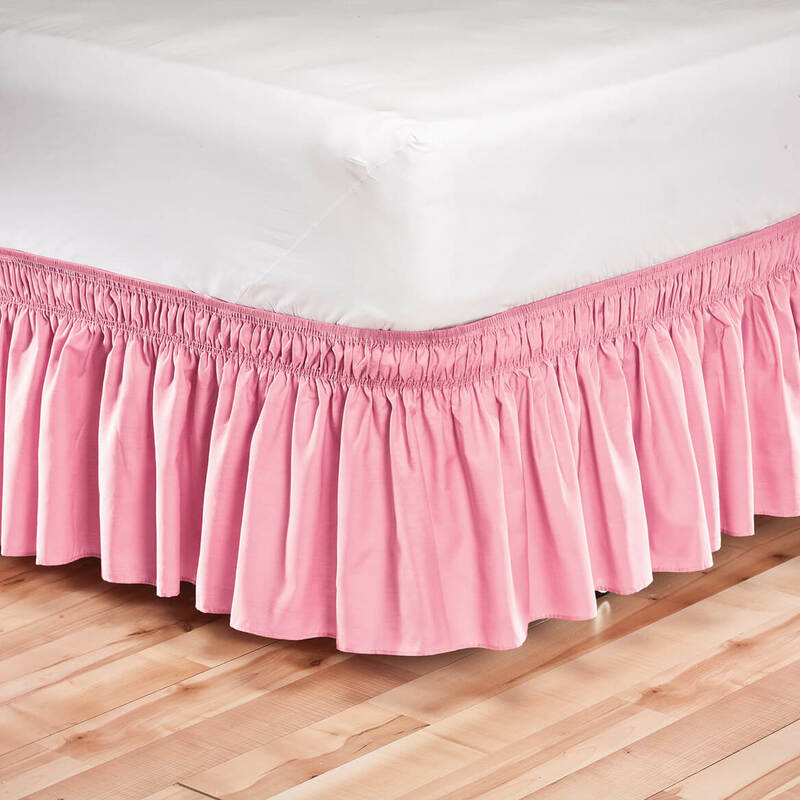 A lot easier than a regular bedskirt that never stays in place. Have this Item Very easy to put on and Looks Very Nice Love it. A present for my mother. I have one on my King size bed and I love it, now I need one for the guest bed. Because it's easy to take on and off. I bought this because of the navy blue color. Navy Blue is hard to find. and it is 14 inches. I have one and absolutely love it. It is very difficult for me to lift the mattress to put on a bedskirt. These are so easy and stay in place surprisingly well. I love the wrap around skirts better than the pin type skirts. They work very well for my bedroom décor. Helps keep the 'dust bunnies' at bay. And looks nice too! 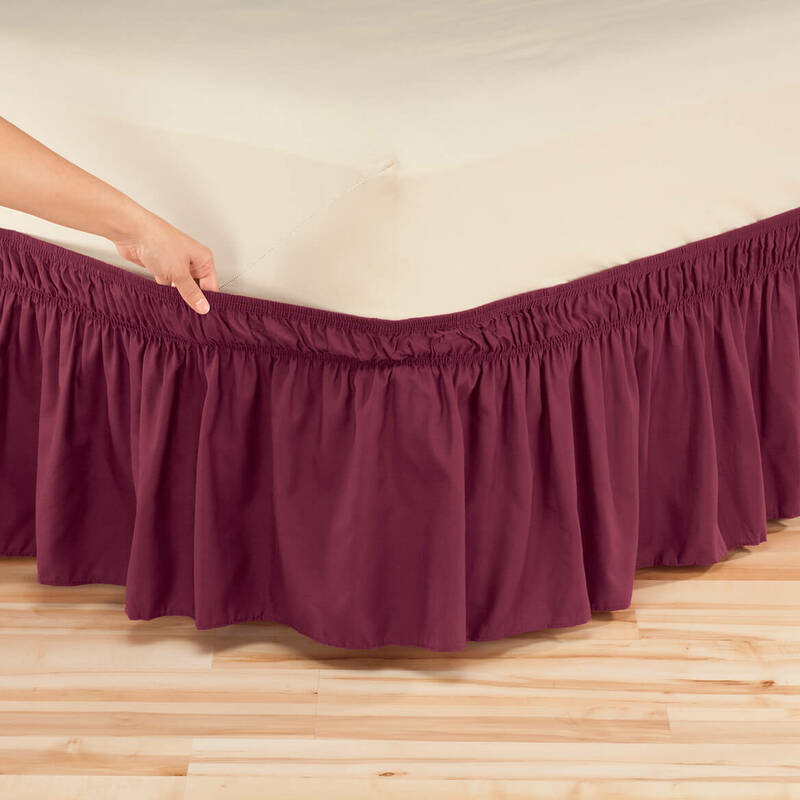 Needed a 14" drop wraparound bed skirt in this color, burgundy. There aren't many in a 14" drop. Hopefully when I flip mattress the skirt will stay in place and not get bunched up. I'm making quilt for twin bed an needed a bed skirt, liked the large elastic. I have been looking for a nice Chocolate, sturdy wash & dry bed shirt! Because they fit my needs. It's pretty. The price is right and I sure need one! I have wanted one of these for a long time. Just decided the time was right. Easier to use than the old style where I need to lift the mattress. I have had one before in another color. 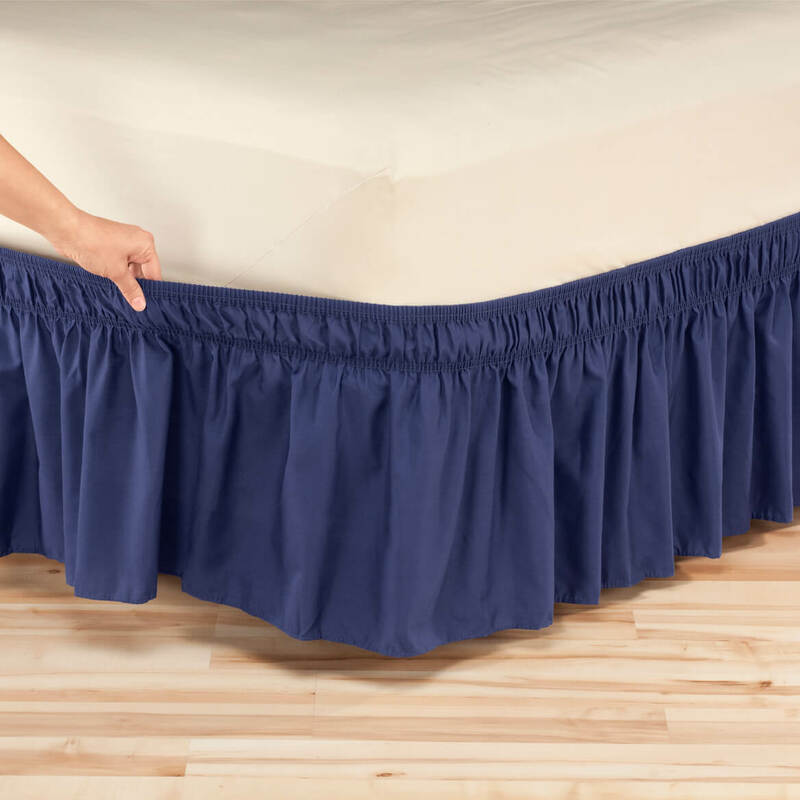 It is so much easier to make a bed with this type of skirt. Love that you can put it on and off without moving mattress. This is my second one. I have the sheet kind, but wanted to try this to make it easier to turn the mattress. To hide the storage under my bed. The ease of putting the bed skirt on the box spring. It would look so pretty with my comforter/bedspread and also would be easier to put on the bed than a regular bedskirt. I had one before and it was lost in my recent move. My top covered bedskirt won't stay in place. We have a Sleep Number bed and cannot use a normal bed skirt. This type is perfect for our needs. BEST ANSWER: Thank you for your question. 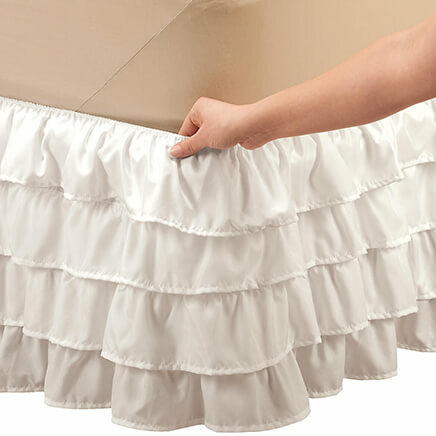 The bed skirt is ruffled already and is machine washable. We hope this information will be of help to you. can I get this in 18 inch drop? BEST ANSWER: Thank you for your question. Unfortunately, we were unable to determine what is was you are inquiring about. Please contact us at csr@mileskimball.com with more detail as to how we may be of help to you. We hope this information will be of help to you. how do you apply this bedskirt? BEST ANSWER: I make sure skirt is untwisted, I start at the top of the bed and wrap the white elastic from corner to corner and slide down on bottom mattress, Then I pull the skirt across the top of the bed down to the foot of the bed and straighten it all out. I do use safety pins 3 on each side and 3 at the bottom to keep the skirt from sliding. Just take all covers off and start at top and pull over the mattress and just pull down to foot of bed and adjust it to length. It is really easy to do. it is elastic so pull down over mattress to desired height on box spring. Tight elastic so will not slide off. Love it! The whole thing is elastic. Just stretch around mattress and move down in place over the top edge of the box spring. pull down over mattress to desired height on box springs. Is the elastic band included in the 14 inch length? BEST ANSWER: Thank you for your question. The measurement is from top to bottom. We hope this information will be of help to you. BEST ANSWER: Thank you for your question. The item is 14". Any of the colors that are still available. We hope this information will be of help to you. Does this bed ruffle come in beige? BEST ANSWER: Thank you for your question. Yes, you may select the beige form the drop down box provided. We hope this information will be of help to you. One review states that the length can be adjusted. My bed has only a 10" drop from top of box spring to floor. Is it possible to shorten the drop an if so, how? BEST ANSWER: Thank you for your question. 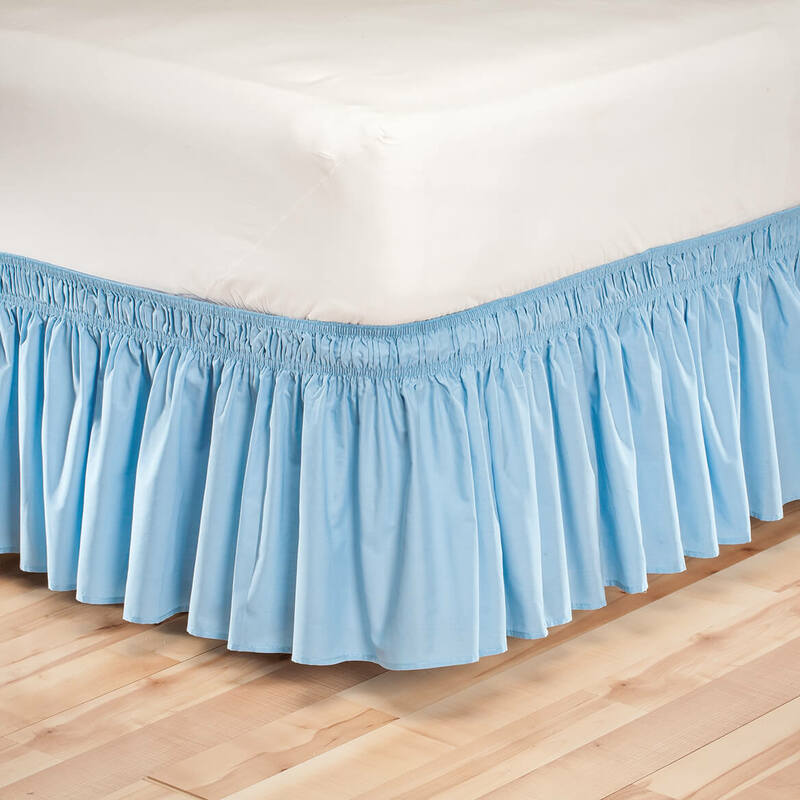 Put the top of the ruffle higher, as on the mattress. We hope this information will be of help to you.